The word BRANDING has been thrown around so often lately. You read about it all over the internet. But why is it so important; or is it? 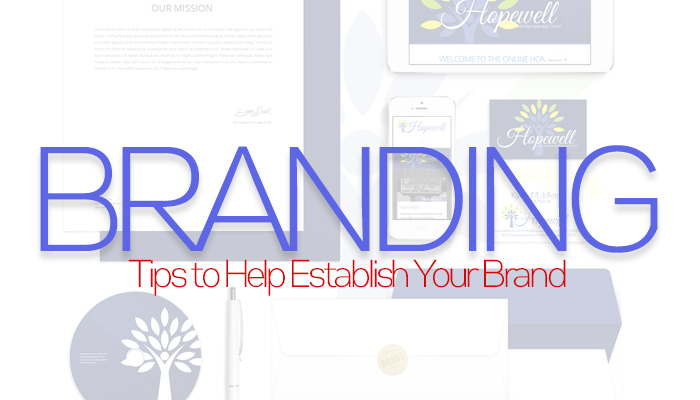 Here are some simple ideas to help you begin the process of forming or reestablishing your business’s brand. No matter where your clients & customers find you, it’s important that they know it’s actually you. The digital design of a brand is very important. That does not mean that you have to have a world-class logo or the most beautiful imagery out there. But it does mean that it needs to be consistent. Which leads into the next point. Whether you are selling salt to slugs or vintage watches to jewelry chain stores, it is vital that you are who you say you are. The evolution of your brand and it’s growth is expected. What’s not expected is moving away from the ideas and processes that have made your product/brand successful. Dropping the ball one time can turn off customers; if you are a start-up, you know what the loss of a customer can do to your bottom line. Ever avoid an entire fast food chain because the food was not prepared the way you experienced it at other locations? No? Well, at a lot of people do. Vital. No matter what you sell, how often or how much you sell, it is absolutely necessary for you to treat your clients with dignity and respect. If you set a deadline for a project to be completed or when an item will ship, stick by it. But in the world of business, we know that things happen. So take the extra step of informing your client of setbacks. This may test their patience in our brand but if they are the type of client you desire, they’ll understand and appreciate your clarity. Your logo is important. It is the stand-in for you when you cannot see or interact with your customer, face-to-face. When you attempt to include every service you offer into a logo, you begin to crowd the space. Crowding the space reeks of unprofessional design. Don’t scare off clients. Let your service & your products do the talking. If you know that communication is a weak spot in your business, that is a major red flag. Clients and customers are giving you their hard-earned money in exchange for the blessing that you have in your hands. Not communicating the process, or leaving out details can spell disaster for your brand. Nothing hurts worse than social media complaints; especially on the all mighty Google. This is the downfall of so many companies. The average consumer decides within 5 seconds if your website appeals to them. Visual components are so important to keeping visitors on your site. Your window to grab them is very short. Sometimes, the difference between gaining a client and losing a client is the opening image of your website; or the length of your URL; or a few other things that will be shared in our upcoming post.